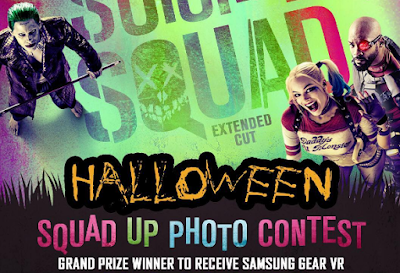 Get your Joker and Harley costumes ready! It’s #Halloween weekend! Get your #SuicideSquad costumes ready and upload your best photo to Instagram using #HalloweenSquadContest to enter to win a Samsung Gear VR.